After successfully completing its second year of partnership, Dainese USA has extended its agreement with MotoAmerica. The Dainese group will remain the Official Safety Partner and Supporting Partners of the 2017 MotoAmerica AMA/FIM North American Road Race Series. Dainese and AGV will continue to serve as members of the existing Safety Council with the objective of maximizing rider safety and educating moto enthusiasts. Support for sponsored riders wearing Dainese’s D-Air technology will continue to grow in 2017. The proprietary 3D Dainese is the heart of the system. Thanks to an internal structure of micro-filaments, the bag deploys in a controlled width over its full length and wraps around the rider's body, covering neck, collarbones and shoulders. Data acquired from sensors and the GPS monitors a rider's dynamics 800 times a second, and deploys the system in the event of an accident. In addition to the premium protection of D-Air, AGV’s new Pista GP R helmet is a perfect combination of protection, performance and comfort, the three key pillars of the AGV Extreme Standards development protocol. The Pista GP R offers increased field of vision, characterized by a new-patented Visor Lock System (VLS), and is also the first helmet to include a hydration system, featuring internal channels and a drinking valve placed inside the chin area. “We have watched the MotoAmerica championship continue to grow, so it became increasingly necessary that we invest our attention and support to remain the Official Safety Partners of the series in 2017,” stated Roberto Sadowsky, Executive Vice President for Dainese and AGV in North America. Dainese and AGV will also have pop-up temporary stores at three of the MotoAmerica rounds, including COTA in Austin, Texas (April 21-23); Mazda Raceway Laguna Seca (July 7-9) and Sonoma Raceway (August 11-13). 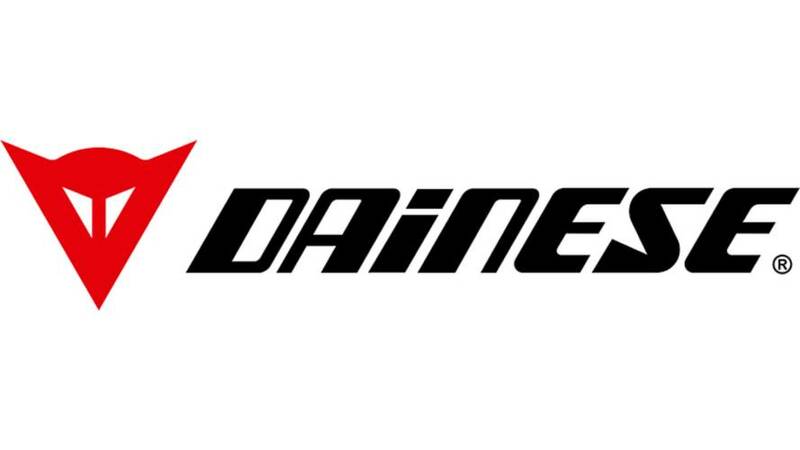 For more information go to: www.dainese.com.